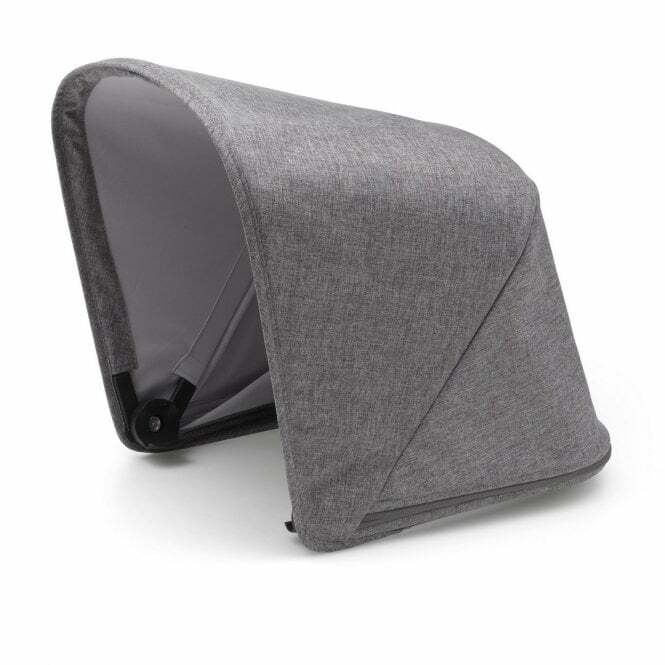 Bugaboo Fox Pushchair Sun Canopy is an essential add-on to the Bugaboo Fox Pushchair Base. It features an extendable sun canopy fabric and is available in lots of stylish colours to suit your personality. Bugaboo Fox / Cameleon 3 Pushchair Sun Canopy is an essential add-on to Bugaboo Fox Pushchair Base. It features an extendable sun canopy fabric and is made from sustainable recycled yarns. This stylish pushchair hood is water repellent to keep your little one safe from showers. What's more, the hood provides UPF 50+ sun protection for safety in the sun's rays. What's more, the hood is machine washable so you can keep your Bugaboo Fox pushchair looking as fresh as the day you bought it. 1 x Bugaboo Fox Pushchair Sun Canopy - wires and clamps not included. Please note: wires and clamps are included as part of the Bugaboo Fox Pushchair Base. Do I get a warranty with Bugaboo Fox Pushchair Sun Canopy? Yes, Bugaboo Fox Pushchair Sun Canopy comes with a 24 month manufacturer's warranty from the date of purchase. This covers material and manufacturing defects. Bugaboo offers an extra year of warranty for which you must register your product with Bugaboo online, within 3 months of purchase.